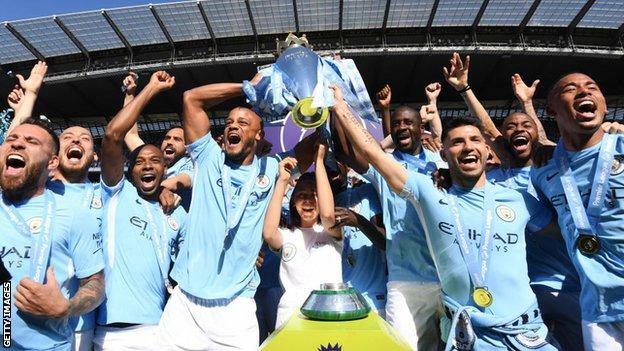 Why City manager Pep Guardiola is “a football genius”. Who City’s main rivals are this season. Last December, Silva’s son Mateo was born prematurely. The 32-year-old would spend the next five months travelling between Manchester and the hospital in Spain where his child was being cared for. “It was really tough,” Silva added. “It was so difficult with him being in hospital for so long. You don’t stop thinking about it all the time. Besides, he was in Spain, meaning I had to travel a lot and I could hardly train. I didn’t sleep much, I wasn’t eating well. But, luckily, the team was doing really well and that helped me a lot. “I’ve said it before that the only times I could get it out of my mind was playing in matches. Then I would start thinking about everything once the match was over. But yes, it was a really good get-out. Football is what we like and enjoy most. 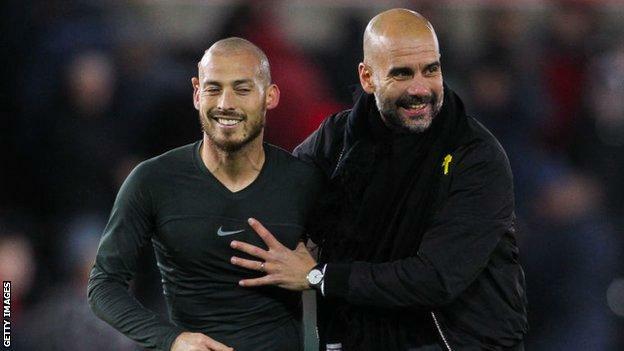 Silva will be 33 in January, but the former Valencia midfielder believes he has been given a new lease of life under Guardiola. A closer title battle this year? 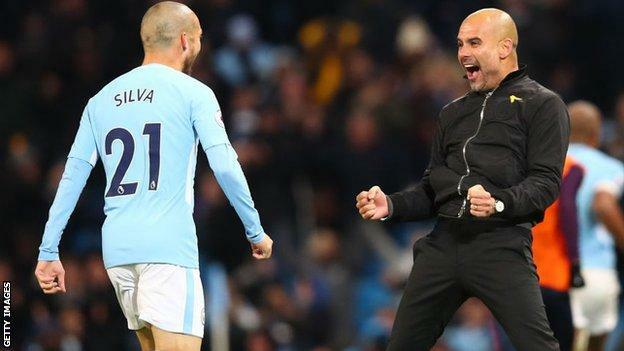 Silva’s contract at Etihad Stadium expires in two years’ time – when he will be 35 – and the midfielder is open-minded about where his long-term future lies. He said: “For City, two more seasons – what’s left on my contract. After that, I don’t know. It depends how I feel physically and mentally.